You do not have to spend a lot of money for you to get web traffic. Though there are reliable paid traffic sources like we offer; there are other methods that will give you great results that you can do by yourself. The trick here is considering variables of your web marketing campaign and polishing elements that will work and add anything that you might miss. The tips we have lined up for you will work a great deal when followed to the letter. You need to highlight the core elements that strengthen your business, promote your blogs and site, as well as, optimise your site for SEO. Facebook Ads are known to work for entrepreneurs since the posts you boost are shown to masses of people. This is not the only technique, but there are other methods where you can advertise a site free through classified adverts. Some of the popular classified services are Kijiji and craigslist. As a savvy and informed entrepreneur, you need to have a blog and a website for your business. Entrepreneurs will add blogs to their site and adjacent blogs to drum up interest for their services and goods. When you choose to blog, you will learn that adding posts and promoting on the social networks will be an effective way of building your desired audience. When you blog, you need to schedule a strategy that will have the right search engine optimisation, make your content fresh and your site regularly updated. Search engine optimisation is all about getting good Google rankings. Some entrepreneurs do not understand the value of SEO. When it comes to SEO, you need to pay attention to the small details. You need to have defined keywords, but you need not stuff them in your content. Make use of tools like the Google Analytics reports and they will allow you to know the amount of traffic that’s coming to your site with respect to given keywords. 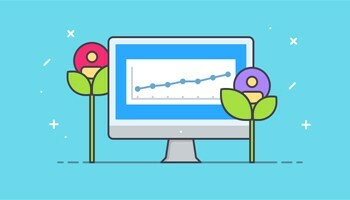 When you notice that a lot of traffic is coming through a given keyword, go ahead and use it in titles and your content to get more visitors.